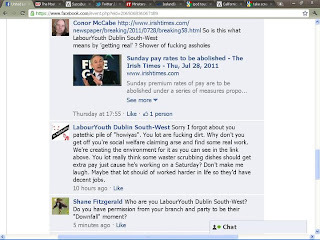 A recent Facebook rant made from the profile of Labour Youth (Dublin South-West) on a ULA event page caused a bit of embarrassment to the national leadership of that organisation, who moved quickly to have the comments removed and went on to issue an apology on their national Facebook page. 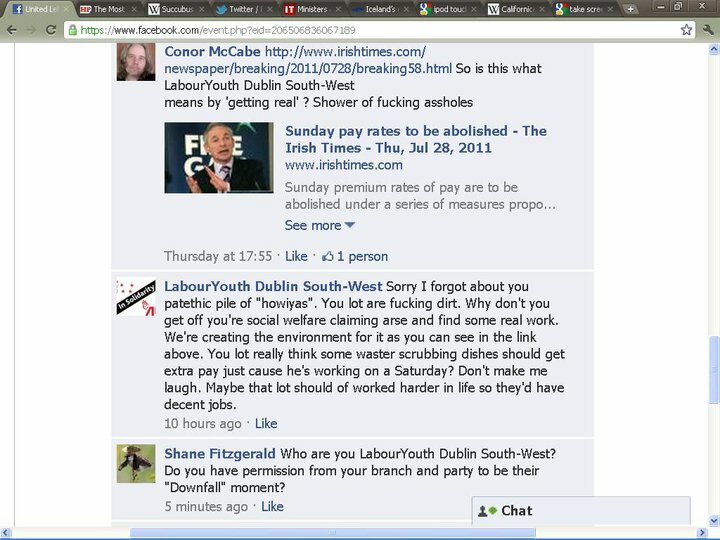 A young man named Sean Glennon also went onto the national Facebook page to say it was he who had posted the comments, and that he was not a member of Labour youth and did not agree with their values and policies. However, since then it has emerged that the young man who posted the comments was in fact a prominent Labour Youth member, and was an administrator on their Facebook page. 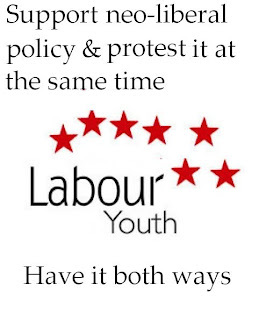 While the comments could be passed off as juvenile naivety, I believe that the whole debacle provides a deeper and more disturbing insight into the policies of the current Labour Party in Ireland. 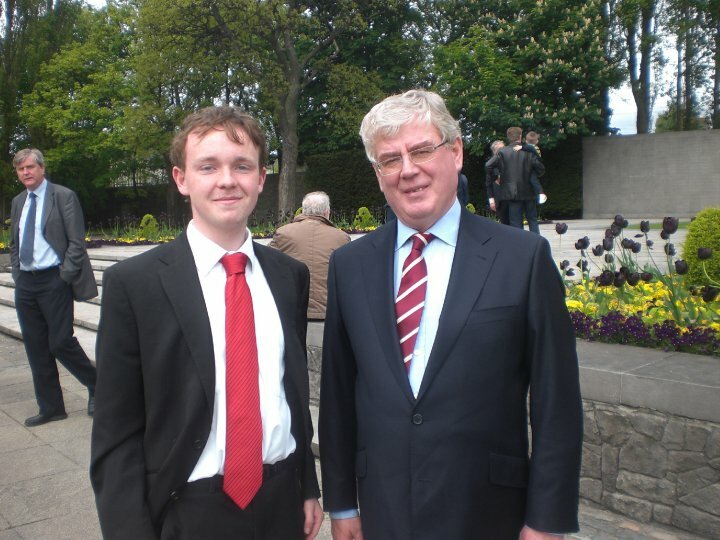 The young man who posted the comments, Sean Glennon, came out later and said he was not a party member and did not agree with their values, yet if you look at his blog he quite explicitly explains that he is " currently a member of the Irish Labour Party having joined in 2008 at the age of 15." His initial rush to distance himself from the party seems to have been on the direction of the Labour Youth leadership in the hope of damage limitation, and perhaps to portray the comments as some form of hacking incident. Once it became clear that Sean Glennon was indeed a party member, a Labour Youth member informed me that "the person involved was immediately disciplined and removed as an admin on the page." As these pictures show, Sean Glennon is quite a prominent member of Labour Youth, and not someone who is new to political activity. 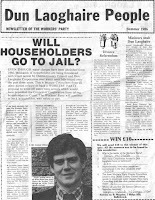 I believe that the photo in the middle is one that is particularly telling, as the sentiments that were expressed in Glennon's Facebook rant were in fact no more than a bare, unconcealed and unpolished version of Joan Burton's recent viewpoints and policy proposals in relation to the dole being a 'lifestyle choice' . Glennon's comments on the proposed scrapping of the JLC Sunday pay rates also show the level of Labour Party acquiescence to Fine Gael policy, now that they are in government with them. 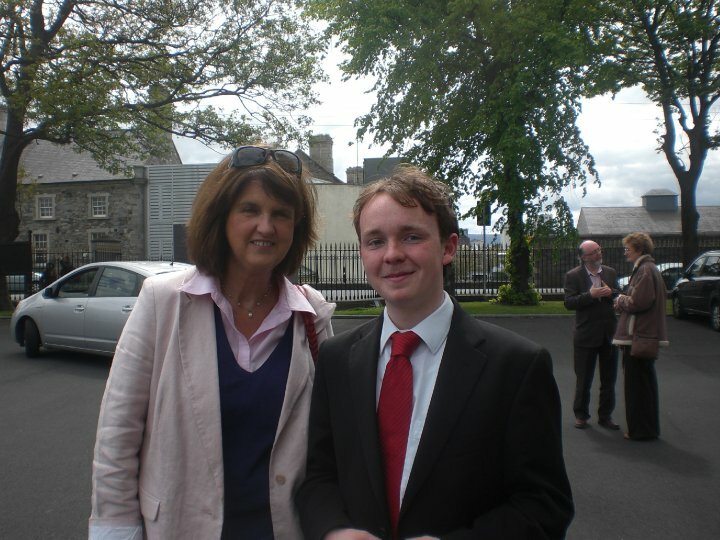 Joan Burton morphing into a Margaret Thatcher like figure is just the latest in a long line of betrayals from the Labour Party towards the working class base that voted them into government. Other recent betrayals have come in the form of Ruairi Quinn, Education Spokesperson for the Labour Party, signing the USI pledge on behalf of the Labour Party promising not to reintroduce 3rd level fees or cut student grants in the next Government. As we all now know, Labour had no intention of keeping this promise to students, and fees have been upped to €2000, and the grant has been cut for many. 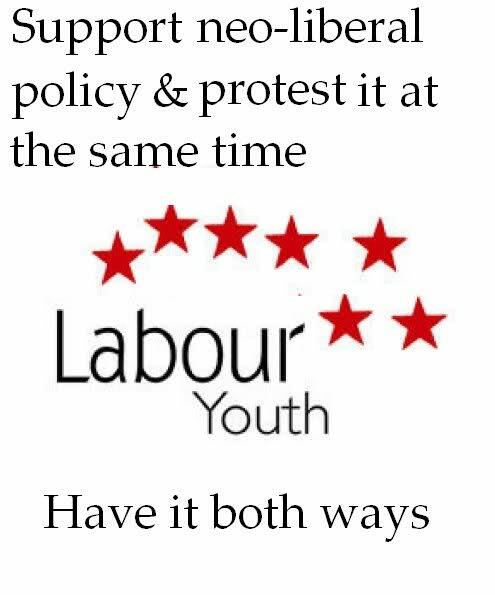 Since the Labour party have got into bed with Fine Gael, it has become hard to see which party has the more 'right-wing' agenda. The complete turn 'right' that the Labour Party has undergone is perhaps best illustrated by the issue of water charges. Pre-election, in their manifesto, the Labour Party were opposed to the introduction of water charges. Yet now that they are in government, we see them implementing the 'household charge', water charges by another name. 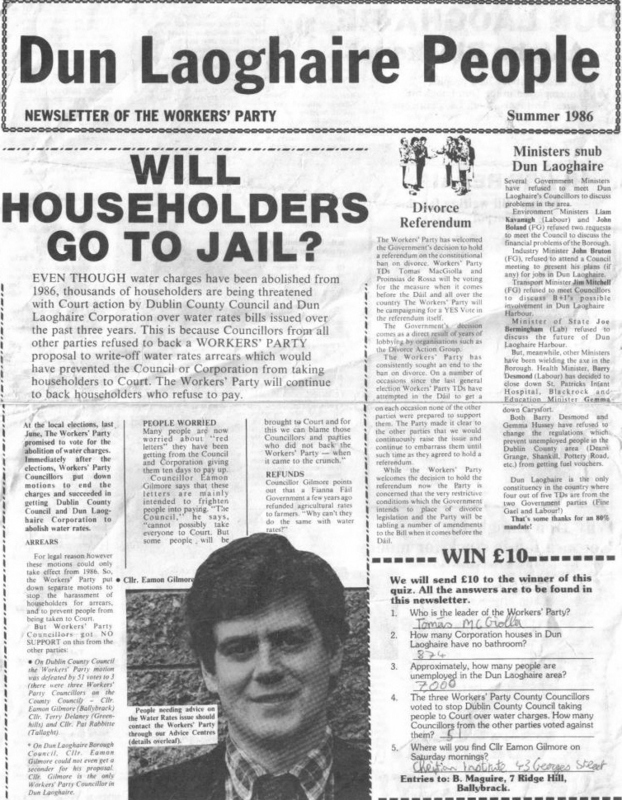 If one digs deep enough, they will find some interesting election material from Eammon Gilmore on the issue of water charges as this picture shows. During his days in the Worker's Party, Gilmore was encouraging workers not to pay this unjust tax. I wonder what his advice will be now that he is in Government? So, while Sean Glennon's rant on Facebook will be passed off as a juvenile prank, the record of the Labour Party as one that sells out the working class is clear to see, and they should be exposed for this at every opportunity. 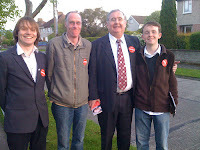 This Glennon chap seems wasted in the Labour Party (if he is still in it!). The guy isn't bound by liberal political correctness and I say fair play to him for that! Thats the kinda truth and honesty politics needs. 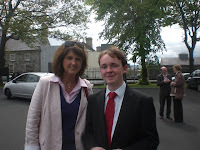 He should go off to Ogra FF or YFG where people will appreciate him. The guy looks really young as well, like what 16, 17 maybe? Should lot really be ripping him out of it for stuff he does on Facebook? Are you ashamed of what you wrote on that page? Is that why you want it removed? Do you still think that working class people are "a pathetic pile of howiyas"? 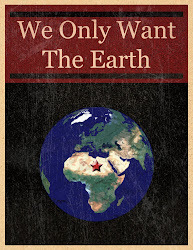 There's nothing defamatory here and so the author has no obligation to remove any information. Sean, I'm a journalist and do occasional PR. Some advice: it may be unfortunate for you, but that's how free speech works. You should be aware that the internet has a memory - even if they did the posts, it will always be found through Google cache. It might make more sense in terms of reputation protection that you deal with the issues involved rather than appear be attacking free speech. And it would be a terrible reflection on any blogger or journalist who removed someone's name because they didn't like what was said. Do you realise the implications for free speech? Do you know what would happen if journalists needed permission to use someone's name or image? It would be a dictatorship, Sean. You too have a right to free speech, why not start your own blog? Its good people even celebrate such days, I also attended a party like this last year in a very fine event space Atlanta. It was a different and a good experience for me. Anyways, you have written a very nice blog, and I think I am going to follow you religiously from now on.